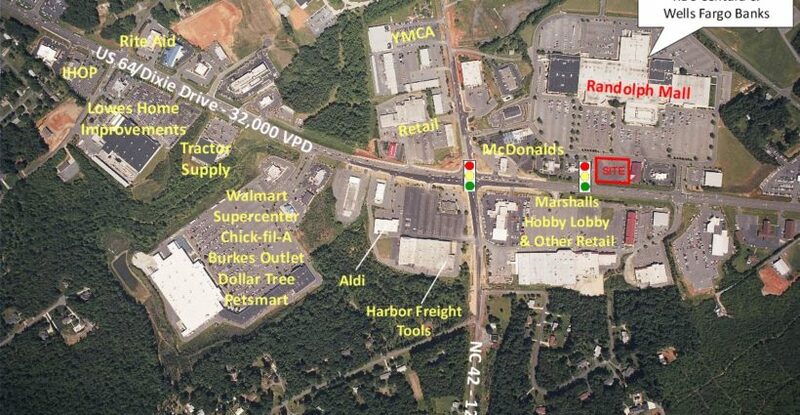 NE Quadrant of Dixie Drive/US 64 - Asheboro NC - Collins Commercial Properties, Inc.
High Profile 1.35 Acre Parcel Available for Sale. Signalized outparcel to Randolph Mall, Asheboro NC. 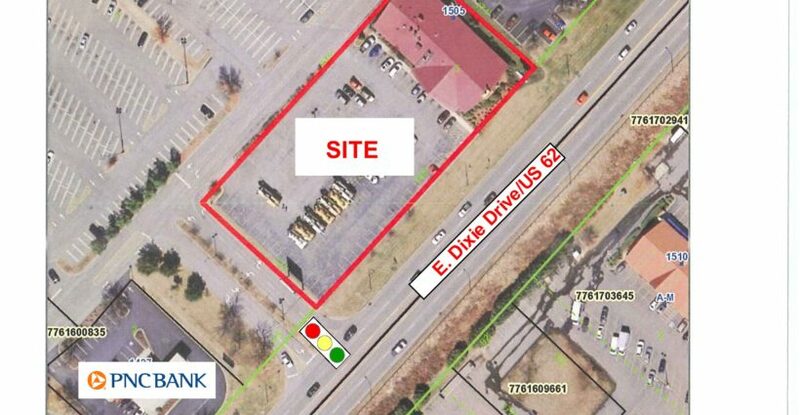 Parcel is 1.35 Acres, improved with a 8,400 SF restaurant building. Area Retailers: Walmart Supercenter, Dollar Tree, Chick-Fil-A, Lowes HI, Aldi, Harbor Freight, Chili’s, IHOP, Tractor Supply, Petsmart, Verizon and many others.